This piece is our equivalent to the leather biker jacket. 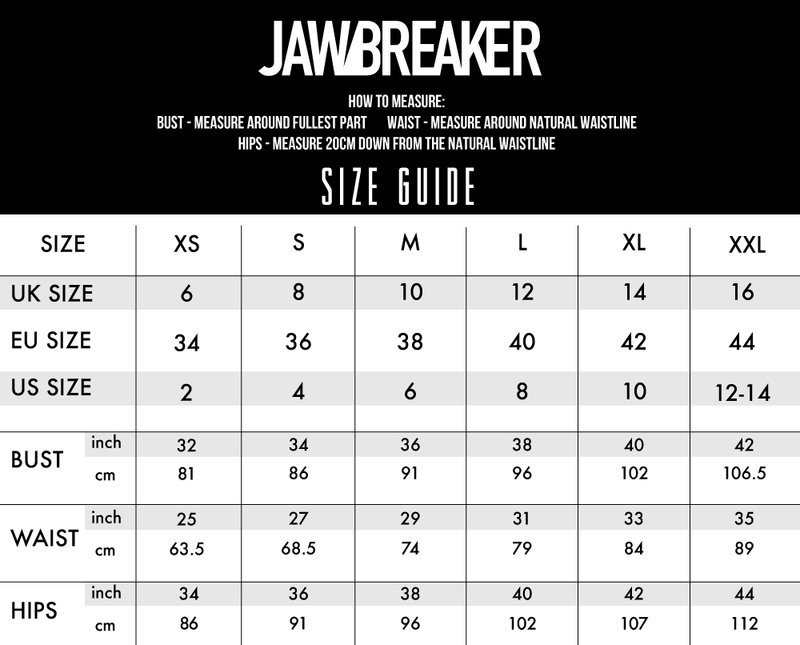 It’s the epitope of alternative fashion, and the only accessory you need to give any look that Jawbreaker edge. 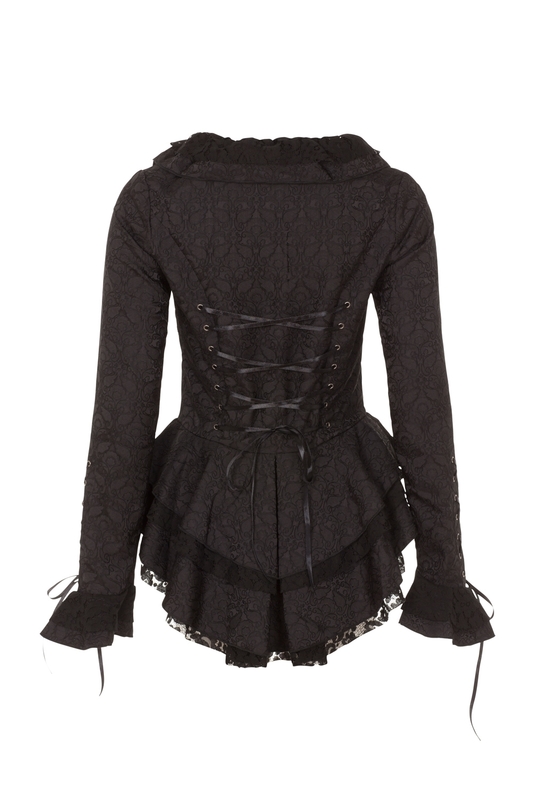 With ruffled hems and ribbon cuffs, it’s the intricate details that really make this gothic beauty.